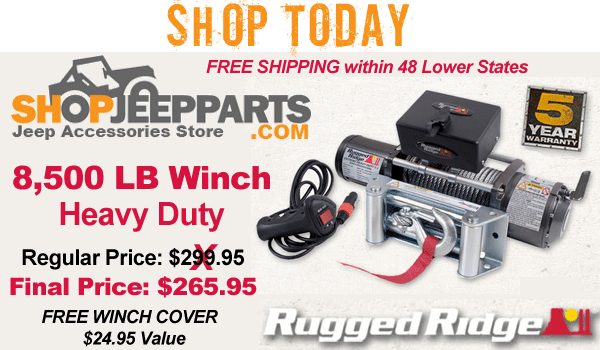 Get the piece of mind with these high quality Rugged Ridge Winches for your Jeep. With 8,500 LB or 10,500 LB winches you will have the pulling power to get you out of any jam. These Jeep winches will you the strength to overcome any obstacle and rescuing yourself or stranded friend will be a walk in the park.